Considering how hard it is for members of the LGBT community to find accepting neighborhoods, it’s no wonder people have been flocking to Montreal. Being one of few countries that recognize and support gay marriage, Canada is absolutely thriving with LGBT activities and businesses. The city’s residents are a pleasant mix of the LGBT community, both gay and straight families, young business professionals and both gay and straight university students. It should be noted that some of the locals complain of red-light activity and occasional sketchiness in the area, though nothing particularly life-threatening has been reported. Any prospective students planning on moving to Montreal may also appreciate the neighborhood’s proximity to the “Université du Québec à Montréal”, which is about ten to 15 minute walk away. Most people planning to move to Montreal should be able to get by sufficiently with English, but would do well to pick up some French just in case, considering the city’s bilingual nature. Stuart is a lifelong Hoosier, who has spent the last 5 years in Broad Ripple. An Indiana University graduate, Stuart has recently pursued his real estate passion after a post-grad position as an elementary school teacher and non-profit professional. Eric is a unique find in the Boston Real Estate world. He is a professional Interior Designer (NCIDQ Certificate No. 27518), and member of the National Association of Real Estate Agents. He is able to offer a plethora of services to his clients by drawing heavily on his experience and interest in design, and has worked on designing some of Boston’s trendiest spots. Pending home sales soared in May, reaching their highest level in seven years, the National Association of Realtors reports. 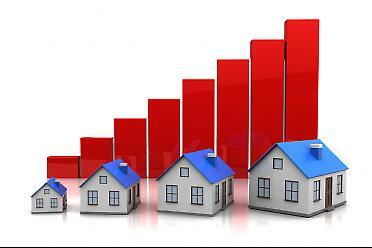 The 30-year fixed-rate mortgage took a large jump this week, rising from 3.93 percent last week to 4.46 percent this week — its largest weekly rise since 1987, Freddie Mac reports in its weekly mortgage market survey. Joseph was born in Toronto, raised in Detroit and lived/worked in Pittsburgh, Chicago and New York City before falling in love with and moving to South Florida in 2003. He especially enjoys introducing new residents and vacationers all that South Florida has to offer. Joseph has the privilege and distinction of being in the first group of Certified Investor Agent Specialists in South Florida and is also a Certified Distressed Property Expert. Joseph has also been very active in the Miami’s LGBT community. He was previously employed by SAVE Dade, Miami’s leading advocate for LGBT advocacy and education and continue, and has volunteered with The National Gay & Lesbian Task Force, SAVE Dade, Pridelines Youth Services and the Miami Mavericks…Miami’s only LGBT tennis club. Joseph specializes in the residential market and in particular the coastal communities of Miami Beach and Miami’s Brickell, Downtown, Arts District, Edgewater, Upper Eastside and Miami Shores areas. About 1-in-4 home sales are reportedly pocket listings in some Northern California markets, and the California Association of REALTORS® is warning agents to tread carefully. CAR warns that “pocket listings” can adversely affect a seller’s goal of getting the best price reasonably for a home. The increase in pocket listings has alarmed many in the industry, particularly at a time with inventory shortages in many markets. For example, 26 percent of home sales were pocket listings in the first quarter of 2013 in some Northern California markets, according to a recent study by MLSListings Inc. That’s an increase from 15 percent in 2012. The nation’s No. 3 home builder is reporting stronger-than-expected gains in revenue and home sales during the spring selling season. With rising home prices, Lennar Corp. saw a 53 percent increase in second-quarter revenue. The company also reported new-home orders climbing 27 percent, signaling a “solid housing recovery,” says Chief Executive Stuart Miller. Miller says that buyer demand has continued to outpace supply, which has allowed Lennar to increase its selling price 13 percent and average $283,000 during the second quarter. Lennar has been actively purchasing land to try to meet increased demand. The company’s backlog of ordered homes that have not yet been completed rose 55 percent in the second quarter. In January, the company announced it would also be entering into the apartment rental business to take advantage of the booming rental market as well. Lennar’s rival Toll Brothers, a luxury home builder, reported in May that its second-quarter profit soared 46 percent, due to higher demand among buyers and higher selling prices. The Supreme Court’s two decisions Wednesday supporting gay marriage could add fuel to California’s already hot housing market. “Married gay couples are going to have more confidence in making a home purchase,” predicted Nanette Lee Miller, West Coast partner-in-charge of assurance services at accounting firm Marcum in San Francisco. Striking down the federal Defense of Marriage Act now means gay couples can pass assets to a surviving spouse without estate taxes, which added up quickly in San Francisco’s housing market where a million-dollar home is far from a mansion. The ability for the couple to collect spousal benefits under Social Security also is a big lift for the family finances. Miller says another plus will be gay married couples’ ability to file taxes jointly. Previously, such couples had to file jointly with the state and produce individual federal returns, splitting income under California’s community property laws. And given the hurdles in securing a mortgage these days, anything to make the process easier is a plus. Of course, San Francisco’s frenetic housing market lately has spurred gasps of surprise over how quickly real estate is moving and at what price. After all, a well placed studio condo in San Francisco can easily fetch almost half-a-million dollars. Miller, who heads Marcum’s LGBT and nontraditional family practice group established last year, said accountants are now scrambling to see whether clients should file amended returns for the past three years. The move is advisable for those whose savings would exceed the so-called federal marriage penalty. Gay couples need their estate plans and living trusts reviewed to see how they might be affected by the extension of federal laws governing such matters now that Defense of Marriage Act has been declared unconstitutional, said Miller, who began her day at 6:48 this morning sitting in Bloomberg TV’s San Francisco studio so she could offer commentary as soon as the Supreme Court’s decision was announced. That was quickly followed by other radio and TV interviews throughout the morning. Later this afternoon, she’ll appear on Fox News. I’m confident that interview will be fair and balanced. Widely recognized as one of Central New York’s most popular real estate experts, Zack cuts a distinctive figure in the CNY real estate brokerage community. Whether tending to his garden in the Sedgwick-Highland Preservation District, rushing off to showings, or closing some of the finest residential real estate deals in the region, Zack approaches work and life with his own unique combination of intelligence, passion, and humor.